OK. I know. Amazon again? Last week Amazon announced the obvious—a partnership with the USPS (the post office) to deliver seven days a week to the home. 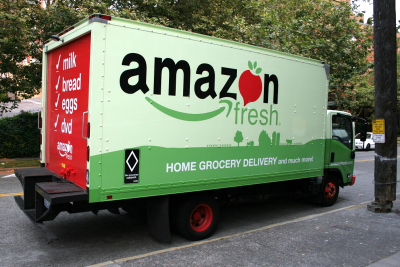 This comes on the heels of more speculation that they will expand Amazon Fresh to NYC, following a lengthy trial period in the west coast cities of Seattle and LA. Although Amazon may be a catalyst, there is more to home delivery than Amazon’s story. Consumers have been receiving products delivered to the home since the advent of the merchant class. Recently, Rakuten, a leading global Japanese company, purchased Webgistix, a southwest-headquartered home delivery firm, to establish a headquarters in the US from which to expand their global online and home delivery business.1 EBay continues in the drive homeward and a new generation of delivery approaches is entering various metropolitan markets in the US. Divergence between driver availability and when consumers want deliveries. For example, consumers would like weekend deliveries while they are home. However drivers, like the rest of us, would like the weekend off. De facto, then, weekend delivery can cost more. Retailers do not often provide realistic options and delivery windows for consumers. There are many advanced techniques for balancing delivery schedules to make them cost affordable and more likely to meet delivery windows.2 Rather than scheduling a concentration of customers in the same delivery window, incentivizing consumers to choose other options can ease schedules, balance the delivery schedule, and save costs. Telematics, appointment confirmation, and dynamic route optimization help companies respond to last-minute route changes. A very important comment was made about customer surveys: Do them after the driver leaves, since both driver and customer are in a rush at the end of the service process and the customer will tend to just check off boxes and not really provide the needed feedback. A follow-up call after the driver leaves is perceived as a pleasant surprise for the consumer and they are more likely to be more precise in their responses. But back to Amazon. Of course, these are not Amazon’s trucks and logistics companies. So I also spoke with some of the team at OnTrac, one of the companies that make Amazon same- and next-day happen. 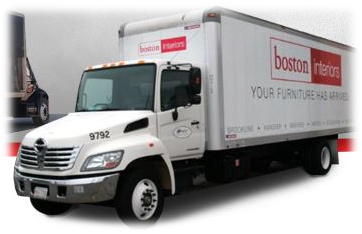 As a regional player, they offer a variety of time-sensitive delivery services. OnTrac’s growth is not due just to their commitment to flexibility and service. Also crucial is their ability to leverage advanced technologies for route planning, optimization, and mobile transportation technologies, to name a few. Regional firms like OnTrac, Cory, RDI, Webgistix, and others provide a variety of services like warehouse and inventory management for the retailers/etailers and manufacturers who have developed nationwide distribution networks, or partner with regional distributors/fulfillment centers. B2B or B2C and a variety of delivery options from parcel to full truckload are offered by OnTrac. It’s tough to manage all those methods. But a progressive technology approach is the key to their success with such diversity. 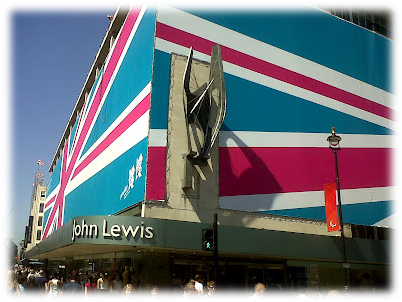 Having researched many retailers and their home delivery strategies, right now the model to learn from is John Lewis, in the UK. They not only have very strong metrics on customer satisfaction, they actually have increased revenue for the company based on their home delivery services. Retailers who are challenged with the increased competitiveness of etailers in the ‘free delivery’ arena should study what John Lewis did to enable customer choice without losing their shirt.